A mod rocket called CTV-X1. Built with 22 of the finest parts, its root part is Mark1-2Pod. 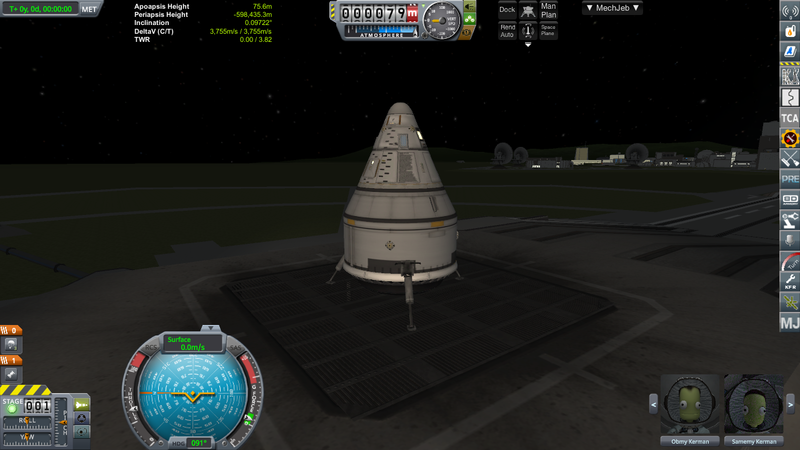 This is a SSTO rocket intended for transferring crew to and from a space station. It actually began life as a seriously overengineered Mun lander. Once I realized that the TWR was high enough to launch from Kerbin and I had enough dV to reach orbit, I modified it slightly to focus on carrying crew. The result is a compact SSTO with plenty of crew capacity.